Inclusions: Stainless steel: Fridge, gas stove,built-in dishwasher, built-in microwave washer, dryer, window coverings, electric light fixtures, hot water tank (rental), ductless air conditioning unit. Exclusions: White wooden storage units in the furnace room & cold room, foyer pegs attached to wall, shelves on wall behind tv, key holder at side door entrance, master bedroom wardrobe closets, all blinds, 2nd bedroom mirror, shelf and pegs attached to wall. Sleek kitchen, 3 bedrooms, 2 full baths, amazing outdoor living space with a large deck, deep private fenced-in yard and a built-in playground. Finished lower level with separate side door entrance incorporates a spacious family recreation room, updated 3-piece bathroom and 2 large storage rooms. Detached 1-car garage and private drive with parking for 4 cars is a rare find in the area!This is a superb neighbourhood. Enjoy the best restaurants and shops of Jane and Annette as well as Bloor West Village. 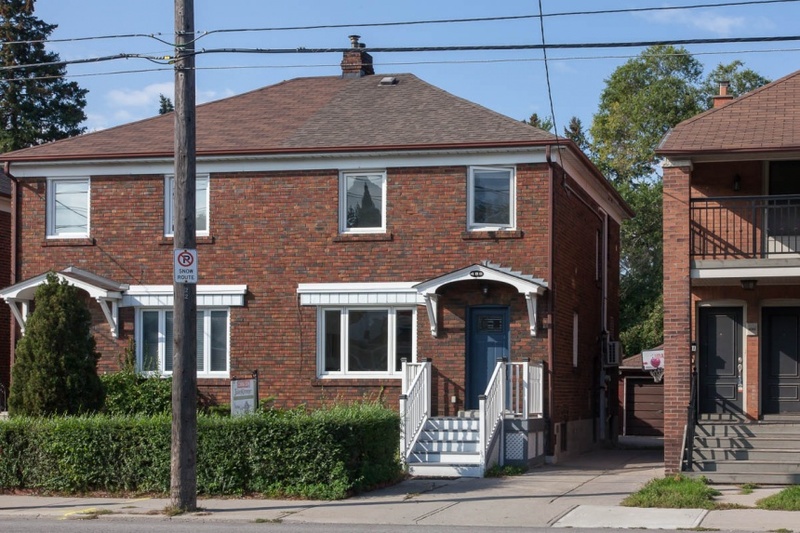 Just a quick 3-minute walk to the sought-after Humbercrest Public School! Separate side-door entrance to lower level and kitchen for ease of bringing in all your groceries! Sun-filled living room has a large picture window overlooking the front yard. Elegant dining room overlooking the back deck and yard. The pass-through to the kitchen is perfect for family dinners and entertaining. Cook's kitchen boasts stainless-steel appliances & decorative glass backsplash. Beautiful hardwood floors throughout the main floor (2012). 3 large bedrooms on the 2nd floor, all with closets and hardwood floors. Finished lower level includes a spacious recreation room with 2 storage closets and broadloom throughout. The laundry area is nicely tucked away behind sliding closet doors. Utility room with ample storage space. Renovated 3-piece bathroom with enclosed glass shower (2013). HUGE cold room/storage room with built-in shelving. Large back deck, playground and private garden for outdoor entertaining/dining space. 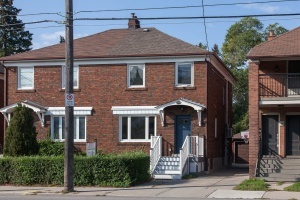 486 Jane Street, just south of St. Johns Road and north of Annette Street is close to all the action! Many festivals and events are held throughout the year. There is a June Sidewalk Sale, a July Festival, Ukrainian Festival & Sidewalk Sale, Halloween Festival, Cavalcade of Lights & Christmas in the Village. Prepared to be pampered...Bloor West Village attracts shoppers from all over the city, with a variety of services, green grocers, bakeries, delicatessens, specialty food shops, cafes and restaurants. The Junction and all the trendy coolness of the indie bars, restaurants, clothing shops and the Sweet Potato Organic Market! The Annette and Jane area which is just steps away, is a foodie's delight. Patisserie 27 (best croissants in town) the Mad Mexican, COCO, Queen Margherita Pizza, Butcher by Nature, Buddha Pie, Creme Fraiche and the list goes on. Nearby Dundas West allows easy access to big box shops, Loblaws and the LCBO. The Stockyards Super Centre is TO's newest retail destinations with over 50 retail shops and fabulous eateries located at Keele and St. Clair Avenue West. Plenty of plush parks surround! Lots of great local recreation! Malta Park, Beresford Park and the Humber River for kids play, sports, dog walking, running/biking. Connect south to the Martin Goodman beautiful Waterfront Trail. Popular Humbercrest P.S. district (offering full French immersion ) Runnymede Collegiate, Western Tech Commercial & George Harvey Collegiate as well as many private, Catholic & alternative schools. There is a puppy daycare at the corner of Jane/Dundas for all you animal lovers. Walk right out your front door and either walk to the Jane Subway station or hop on the bus. For convenience when driving, it's a quick trip downtown and to the Airport. The Gardiner, QEW, Hwys 427 & 400 are all close by. 2013 ~Renovated lower level bathroom. Built closet to enclose laundry. 2012 ~ Renovated lower level. Replaced carpet in 3rd bedroom and lower level. Replaced all hardwood floors throughout the lower level. Rebuilt front porch. 2011 ~ Built playground in backyard. Ductless AC unit. Clay piping in front of house.